Details are stored securely and not sent by email. 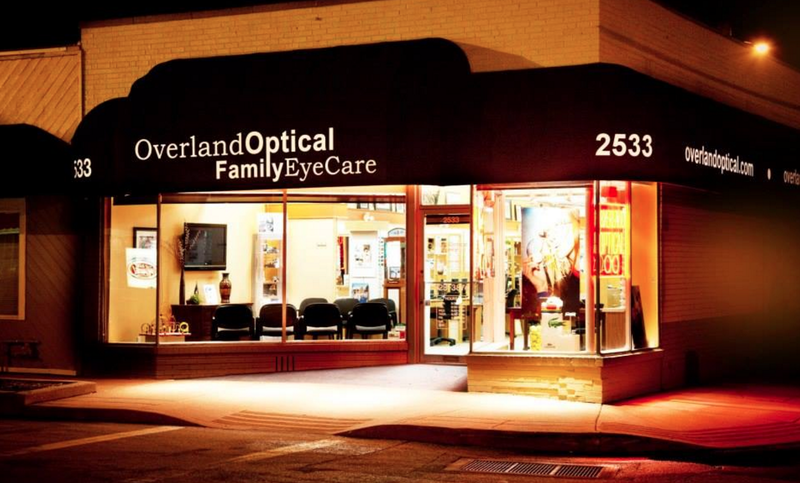 Our Overland Optical Family Eye Care office is located conveniently in this scenic and thriving city, in St. Louis County, Missouri. We’ve been providing expert eye care services for years to patients from St. Louis and the neighboring areas of Bridgeton, University City, St. Ann, Maryland Heights, Clayton and Olivette, and we look forward to seeing you in our friendly office too! Our office has a black awning and is located on the corner of Woodson Road and Tennyson Avenue, one block away from the intersection with Midland Blvd. We are near the major highways of Rock Road #70/364. Our office is also across the street from Eagle Gym. Come visit us in our Overland, MO office and enjoy all the local sites and scenery while you’re here! Alongside our friendly Overland optometry practice are a few local businesses that have become well-known household words, such as Dr. Pepper Snapple Group and the headquarters for Build-A-Bear Workshop. The Anheuser-Busch Brewery attracts a crowd, with tasting sessions in the hospitality room and viewings of the the majestic Clydesdale horses that are presented here. Complimentary drinks are given to each participant (above age 21) in the tours, and keep in mind that groups fill up very fast on the weekends. If you’re looking for history, you won’t be disappointed. Overland is noted for a few unique sites, such as frontiersman Daniel Boone’s single room cabin that can be found next to the gated community of Lake Sherwood. Driving southwest only a few minutes will bring you to Grant’s Farm, constructed by General Ulysses S. Grant, of Civil War fame. He lived here raising cattle until he became president in 1869. Overland also holds a prominent spot in architectural history, with the Gocke-Vance House, built based on designs by Frank Lloyd Wright. Many of the historic buildings near Overland are now located within expansive, developed parks. The Garnett Estate, on Ashby Road, is currently maintained by the city as Wild Acres Park. Outdoor enthusiasts can take advantage of its secluded paths and fishing lake. Sports-minded visitors to Overland will appreciate Norman Myers Park, a huge athletic field that also hosts the annual Lion’s Fair. Yet hands-down, Forest Park is the most impressive outdoor venue in the St. Louis area. 500 acres larger than Central Park in NYC, Forest Park is home to a zoo, museums, a golf course, jogging trails, boating, tennis courts, and a full summer calendar of concerts. This was the location of the 1904 World’s Fair. A short distance away from Forest Park via electric trolley is The Loop, where six blocks of boutique shopping, galleries, restaurants and bars all come together. Shops offer a wide array of items, from books to ethnic décor to second-hand garb. A favorite destination for young and old alike is Blueberry Hill, the cornerstone venue for live music and good food. No discussion of Overland, located in St. Louis, is complete without mentioning the Gateway Arch. A marvel of engineering, this stainless steel sculptural building rises 630 feet. As beautiful as it appears from the ground, the aerial views of the whole region are even more astounding from the top. To fully appreciate the glorious vista, make sure your prescription eyeglasses and sunglasses are current, so you can see all the details off in the distance. 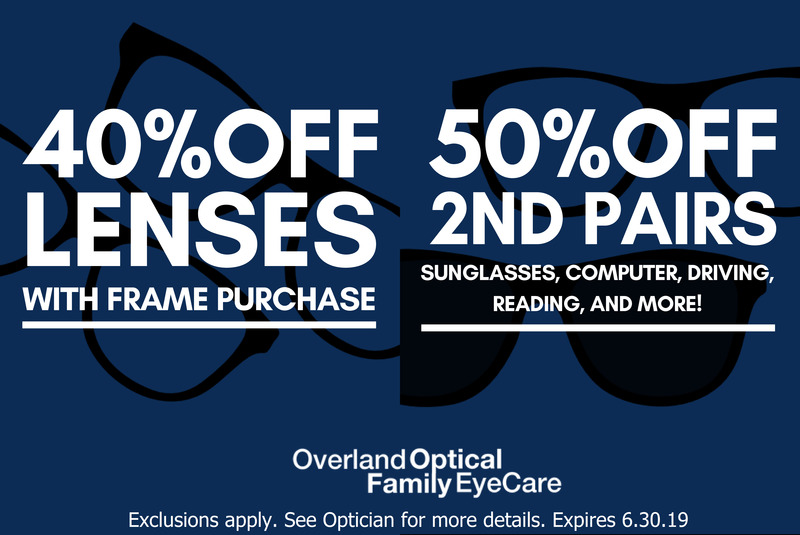 Visit Overland Optical for an eye exam, and we’ll help you select a new pair of designer frames to fit your updated vision prescription.